AGS' proven state-of-the-art solutions for IBM Informix® data servers help organizations ensure that mission-critical database applications remain up and perform at peak levels, manage complexity and assure continuing availability of vital business information. 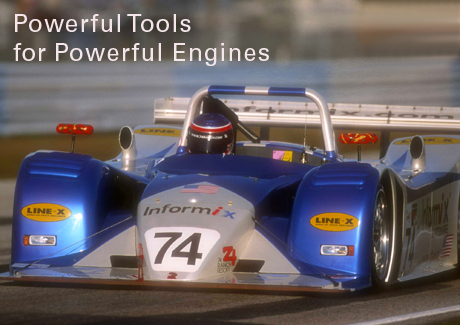 Powerful database engines require powerful tools! May 23, 2014 • AGS today announced that the brand new Release 10 of Server Studio™ & Sentinel™— the premiere suite of integrated system management tools for IBM Informix® Dynamic Server (IDS) — is now available worldwide. This new release of the industry-leading multi-platform graphical development and management environment has undergone a substantial upgrade in functionality and now provides DBAs and developers with an even richer collection of easy-to-use, proven tools to manage effectively and with ease complexities of the Informix data servers' infrastructure — from initial design and development, all the way through to production deployment and successful operational service. Sentinel™ R.10 — the industry leading solution for automating 24 x 7 real-time monitoring and management of IBM Informix® data servers' operational performance is now available.